Back in January my friend Liz gave me a copy of 'The Wonderful Weekend Book' by Elspeth Thompson, as a random act of kindness - you can read all about it here. 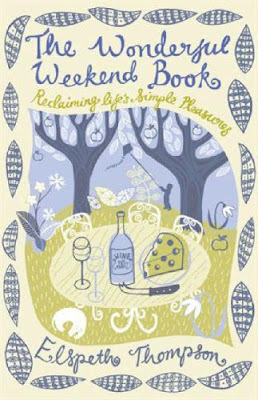 It is a gorgeous book which is just great for dipping in and out of as the mood takes you - full of fab ideas of how to make the most of your weekends and advice to make your weekend fun, and full of things to nourish you, and your family. I love a weekend, who doesn't? 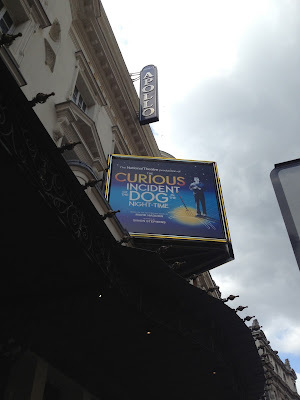 But sometimes I've been known to get to the end of a weekend either completely exhausted and burnt-out; or wondering "what did I actually DO this weekend?". Finding a happy medium of rest & recuperation mixed with getting-stuff-done isn't always easy...but since finishing this book I feel like I'm finally starting to get it right. One of the things the book helps you to do is organise in your mind what is important to you in terms of your time away from work - what do you enjoy, what makes you tick, what jobs are vital and important to you, and which can be held on the back burner for another weekend? 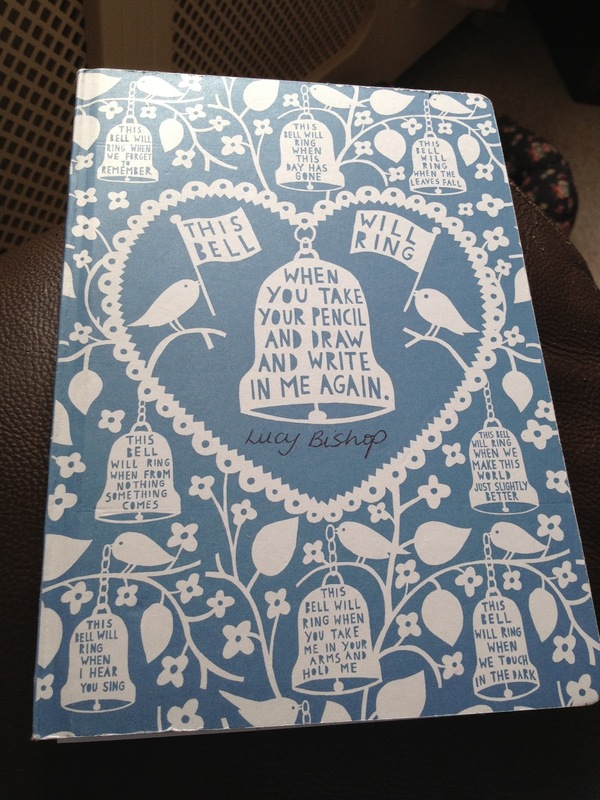 I keep a notebook on me at all times - it is a glorious Rob Ryan notebook, which was a gift from my lovely friend Clare...its full of ideas, quotes, lists, plans, notes from books etc - in essence it is a type of journal, and it has become so helpful for me to organise my thoughts & ideas on to paper. 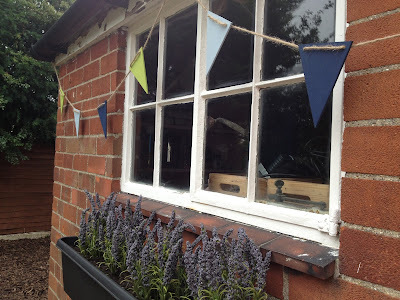 As soon as I began reading 'The Wonderful Weekend Book' I started to note down passages, ideas, and suggestions - and I thought I'd share some of these with you, my lovely blog readers. said Rob Ryan notebook...sooo pretty! What Makes A Wonderful Weekend for Me? In my notebook I have complied a list of all the things I want my weekends to be full of. Obviously, you can't fit every one into every weekend, but a balance of these over my yearly weekends would truly make for a set of 'perfect' weekends for me. What would make it on to your list? 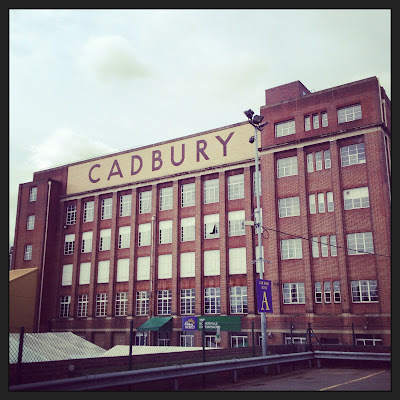 family days out : I went to Cadbury's World with Liam back in June. 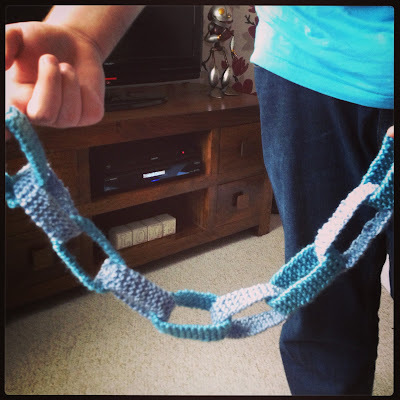 hobbies/crafting: I'm working on some knitted 'paper' chains. Trips to the theatre: hubby and I went to see 'The Curious Incident of the Dog in the Night Time' back in June, it was amazing! 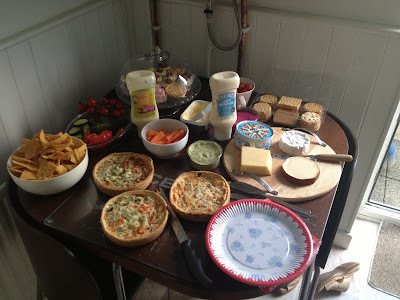 Socialising with friends: Liam and I went to our friend Kerry's house for dinner and a good catch up - she put on a delicious summery buffet for us, how spoilt were we? Socialising with friends/ having weekend guests / picnics: We had our gorgeous friend Carmi to stay for the weekend, and went on a lovely picnic! 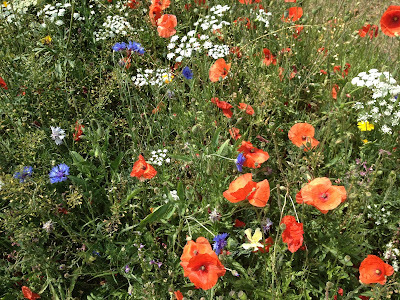 walks: I've been getting out and appreciating the beauty all around me when I have some spare time - like the gorgeous wild flowers all over Bedford at the moment. 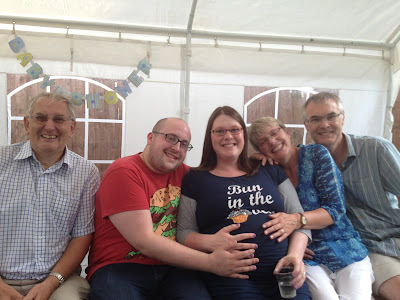 (L to R :Liam's Uncle Paul, Liam, myself, Liam's lovely mum Ruth, and stepdad Paul). All in all I think I've done pretty well at filling my weekends with what I love - I do have a tendency to over-do it a little, and try to do too much within my weekends, that is still something I need to work on - I'm hoping with my maternity leave on the horizon (two working days to go!) I'll be able to manage my time much better & fit in some well deserved resting as well as nesting for the arrival of our little Mr.
Elspeth's Guide to Seasonal Pleasures..
And so, I want to leave you with some inspiration from the author herself - here are the notes I made on her guide to seasonal pleasures...some ideas to add to your 'wonderful weekend' lists...seasonal tasks / outings / festivals to celebrate / jobs to do which will help to make your weekends brighter, no matter what the season/weather. 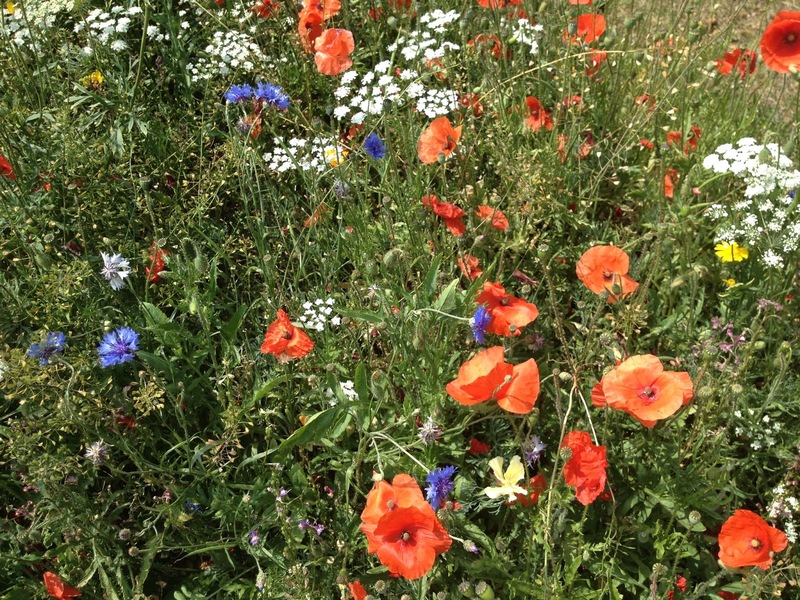 SPRING - celebrate Valentines day, arrange an Easter Egg Hunt, listen to the dawn chorus, plant a herb garden, spring cleaning, make a Simnel cake, go and see some spring lambs, make pancakes on Pancake Day, go on a Spring Detox. SUMMER - Serve summer cocktails, sleep under the stars, swim at a Lido, make jam, have a picnic, pick your own, visit some gardens, pick flowers from your own garden, revamp your home, make ice cream. 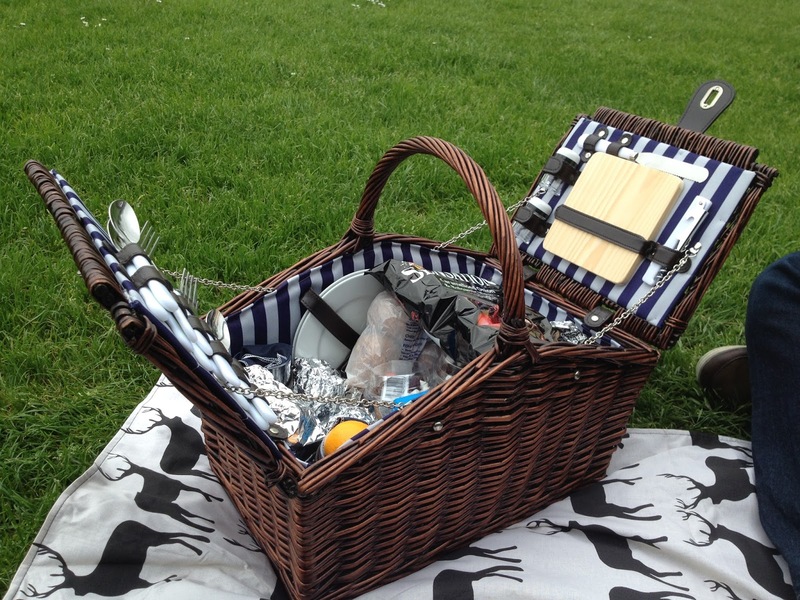 AUTUMN - Make chutney, wear cashmere, go fly a kite, bake bread, light a real fire, celebrate Halloween, make sloe gin, go on an Autumn walk, celebrate Bonfire night. WINTER - Cook up presents for Xmas, build a film library, learn to knit or crochet, have fun in the snow, feed the birds, homemade presents, wrap and cards, make a Christmas cake, throw a Christmas party, make mulled wine, out with the old and in with the new.